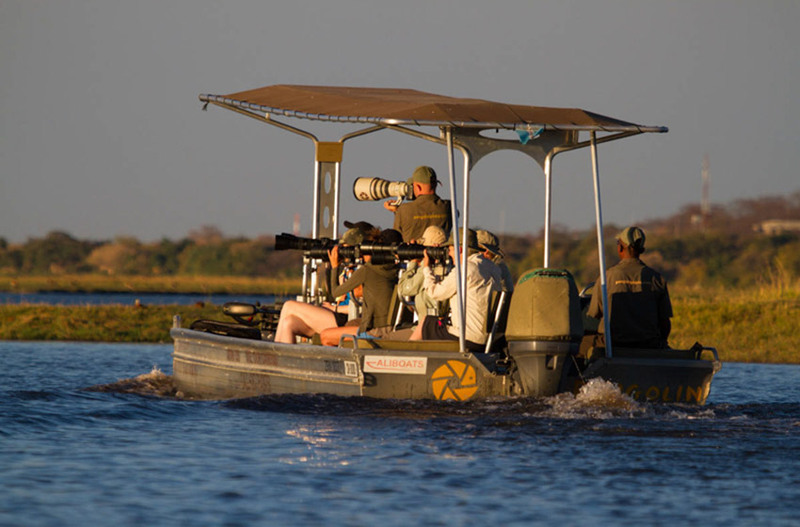 EXCLUSIONS on Pangolin Voyager and Chobe Mobile Camp Camera equipment and photo host except during hosted workshops. 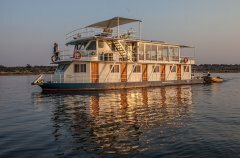 You are welcome to add this specialist activity at an additional flat rate of USD960 per night ; for exclusive use bookings only. 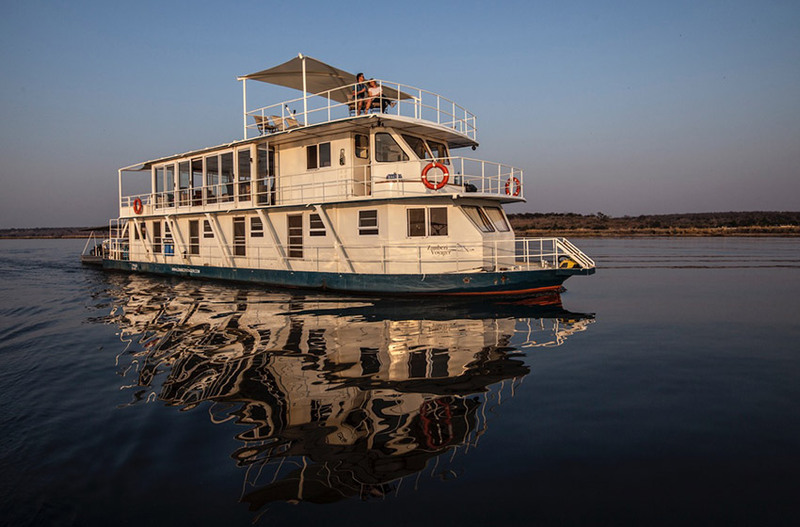 Location Operating on the Chobe River in Namibian waters, the natural border between Botswana and Namibia. 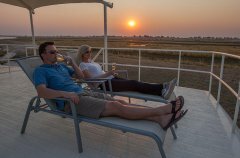 Guests to ensure they are compliant with Namibian visa requirements. Accommodation 5 air-conditioned cabins (twins or doubles). Meal basis All meals, drinks including wine, local beers, soft drinks and spirits. Access All road transfers in Kasane. Activities Morning and afternoon activities on the custom 8-seater boat with optional camera mounts. 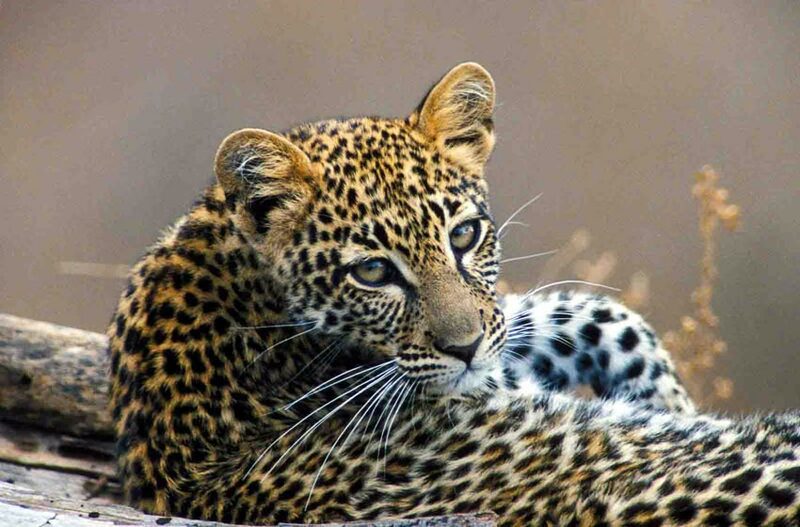 In addition to game viewing, we have the option to arrange cultural visits. No fishing. Please note that there is no camera equipment or tuition onboard the Pangolin Voyager Houseboat unless the clients are booked on a hosted photo package. See notes in contract. Cameras and photo host (on request; subject to availability) may be added at extra cost of USD 800 per day nett and non-commissionable; exclusive bookings only. 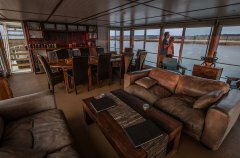 1) Please note, stays on board the Pangolin Voyager Houseboat will exclude camera equipment and photo host by default. 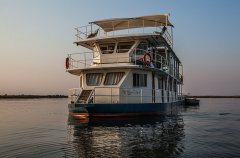 You are welcome to add this specialist activity at an additional flat rate of USD960 per night per group, exclusive use only. 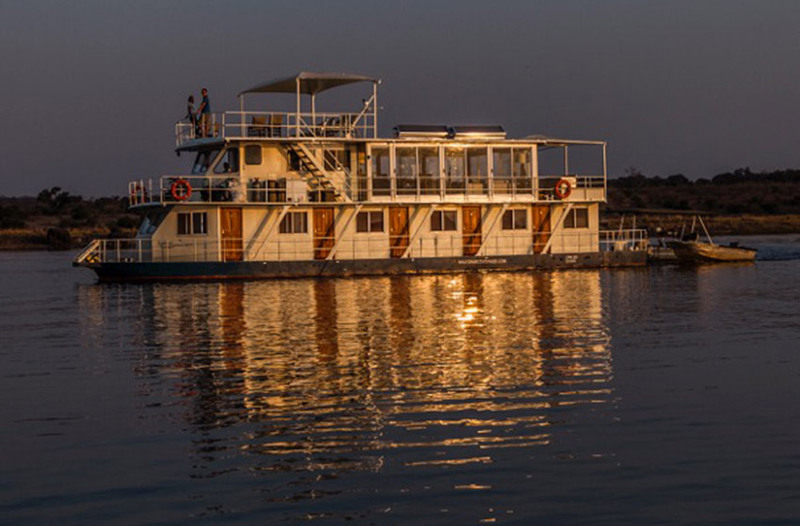 2) Please note, stays at our mobile camps exclude camera equipment and photo host by default. 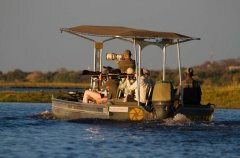 You are welcome to add this specialist activity at an additional flat rate of USD960 per night). 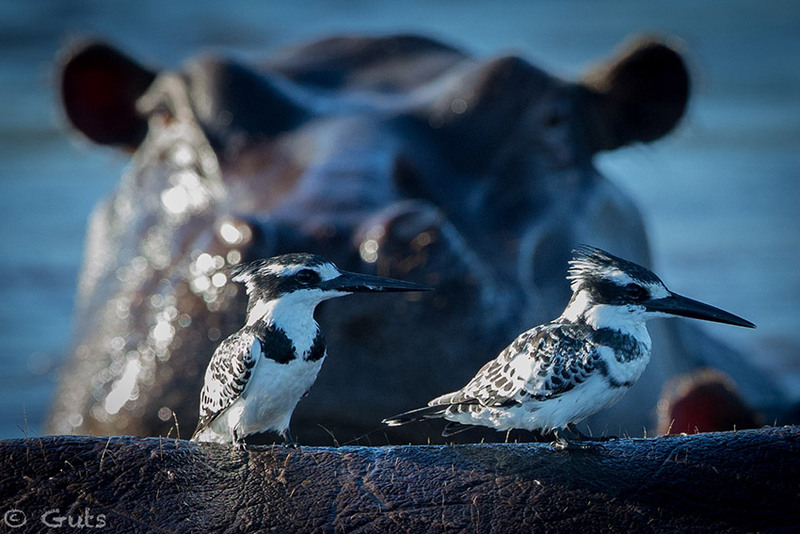 1 x 3 Hour PHOTO ACTIVITY IN CHOBE NAT PARK (excl. Park fees). Pick up and drop offs from points detailed in itinerary. Includes use of a camera and a free SD card as well as photo tuition. 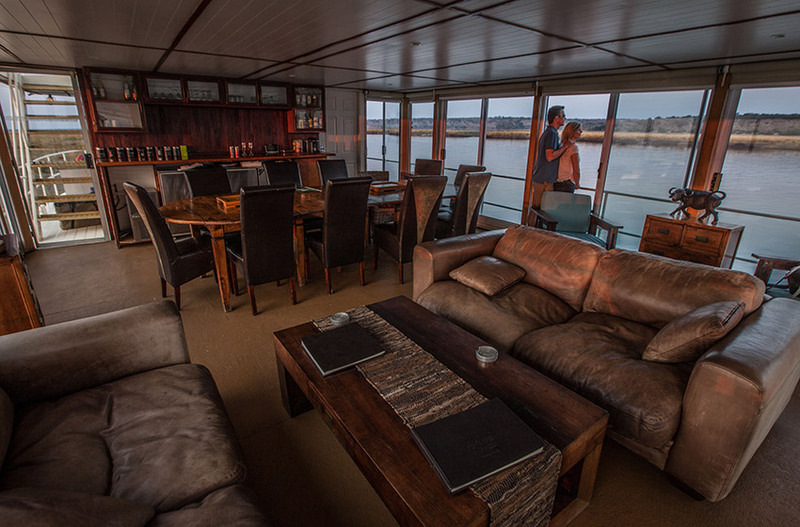 Full board accommodation on board the Pangolin Voyager Houseboat for up to 10 guests in 5 cabins. 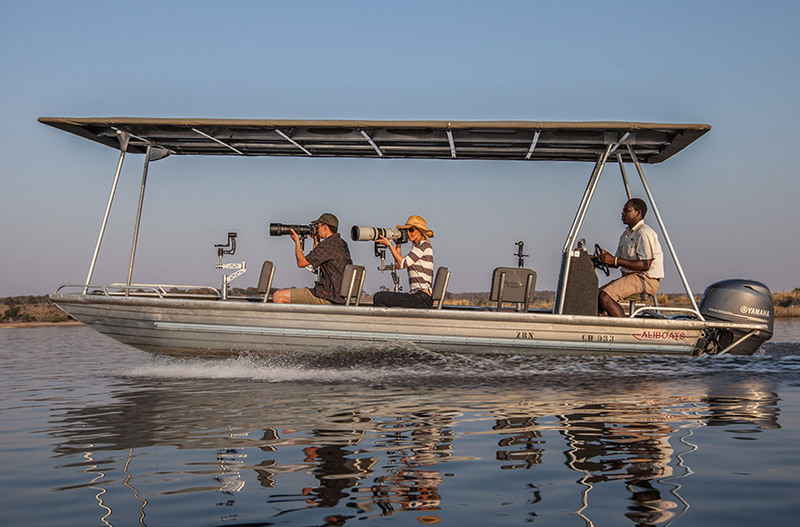 NB: CAMERAS ONLY PROVIDED ON THE PANGOLIN VOYAGER DURING HOSTED WORKSHOPS. Full board accommodation in walk-in tents with en-suite shower and toilet. 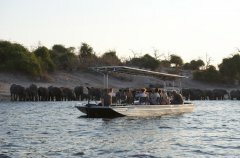 Private campsite in North Western sector of Chobe National Park. Twice daily game drives. Guaranteed window seat. Private Campsite in The Chobe National Park (NW Sector). All meals and drinks included. 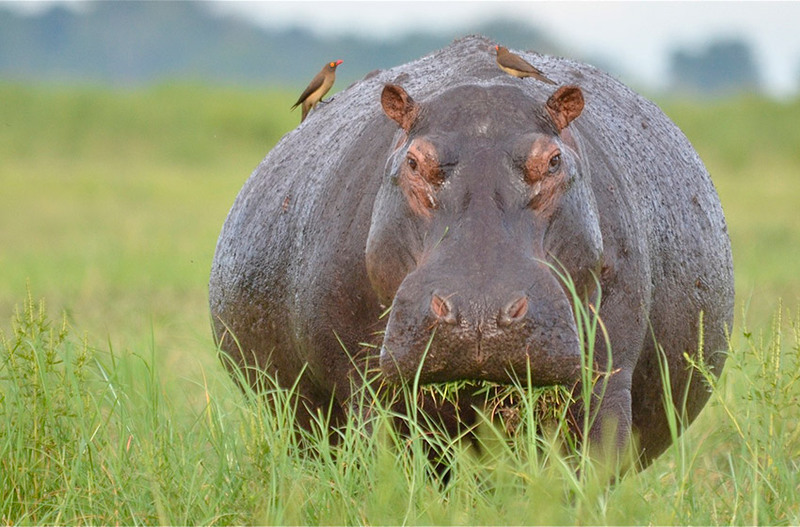 Transfers to and from Kasane Airport or Lodge and Kazangula. 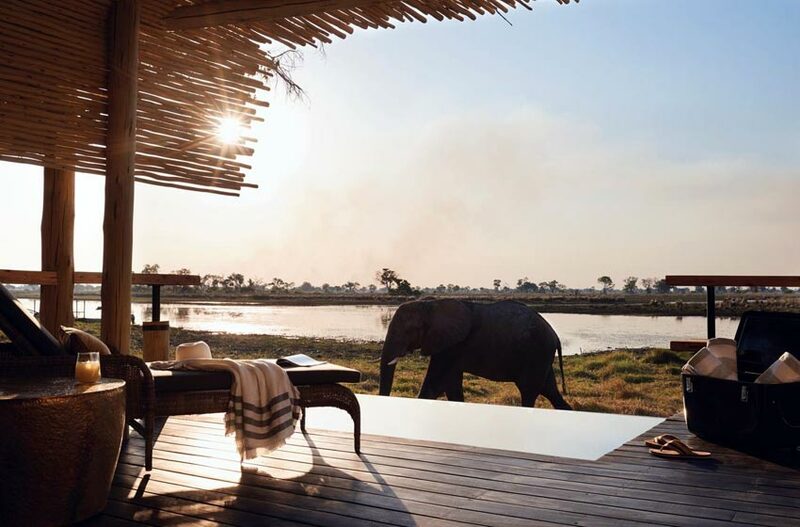 Mobile Camps in Savute, Moremi & Nxai Pan. Min 3 nights per location. Min 4 pax per departure (max 10). Maximum 12 guest in permanent en-suite raised tents on a private concession. Twice daily game activities. Four pax per game viewer. Night drives. One included Mokoro activity during stay. Pick up and drop off at Banoka Airstrip. Full board and accommodation in en-suite, air conditioned rooms. All meals and drinks included. (Brunch, High Tea and Dinner). 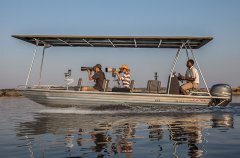 Twice daily photo safari activities on the Pangolin Photo boats and specialist vehicles, cameras and lenses supplied (if required). Park fees and bed levies. 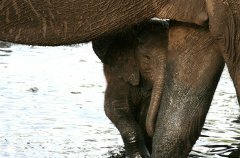 3 nights full board accommodation at the Pangolin Khwai Camp. 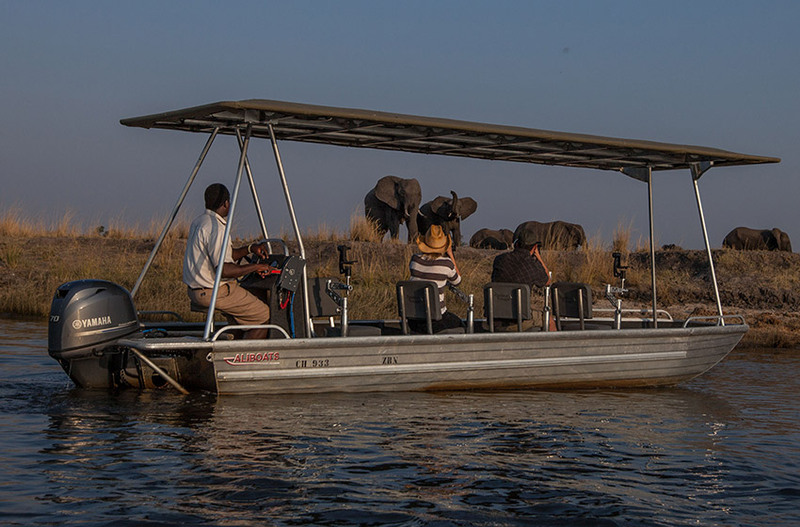 Twice daily Game Drives (max 4 per vehicle) in Khwai as well as one Mokoro activity during the stay. Night drives. All airport transfers in Khwai and Kasane. 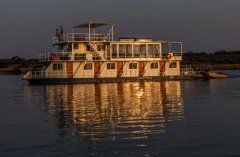 3 nights full board accommodation at the Pangolin Chobe Lodge (opening July 2018). All drinks incl. wine, local beers, soft drinks and spirits. 3 nights’ full board accommodation on board the Pangolin Voyager Houseboat. 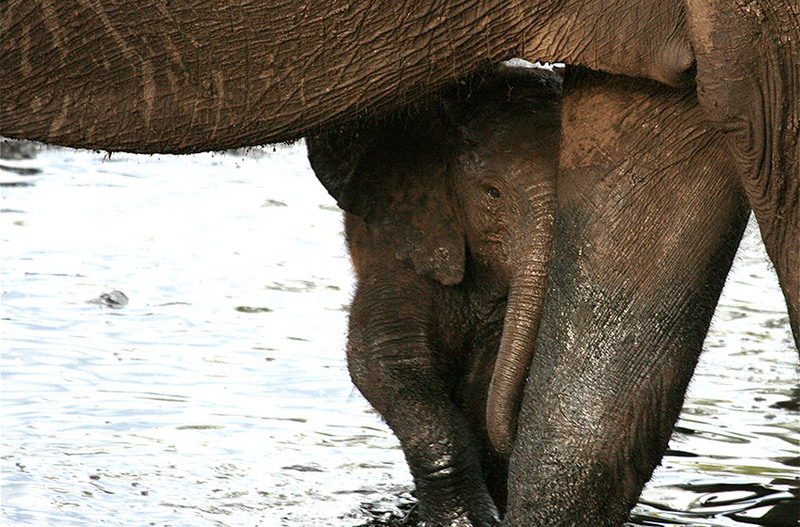 3 nights’ full board accommodation at the Pangolin Khwai Camp. Pangolin cameras and photo tuition from accompanying photo guide. 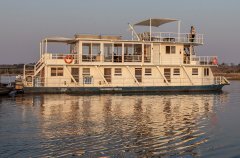 Twice daily Game Drives (window seat guaranteed) in Chobe and Khwai as well as one Mokoro activity during the stay in Khwai. Night drives. NB: PHOTOGRAPHS TAKEN DURING THE ABOVE ACTIVITIES ARE NOT FOR COMMERCIAL USE. 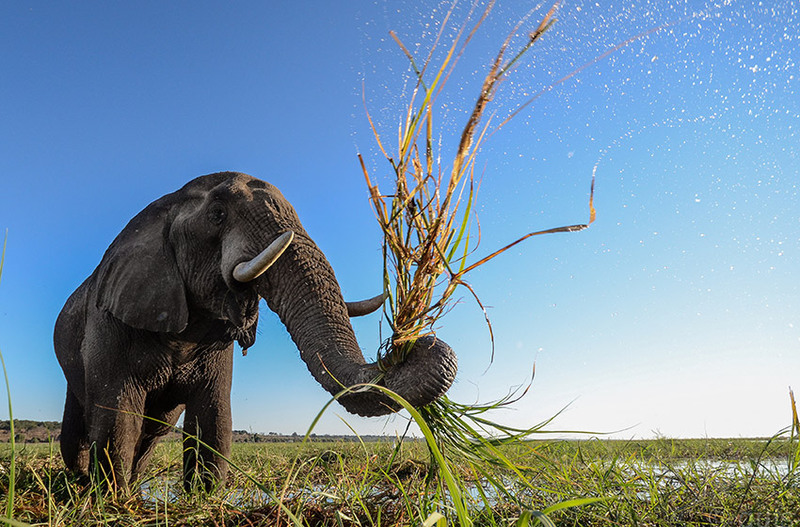 If your clients are intending to do commercial wildlife photography they need to obtain the relevant permits from The Department of Wildlife in Gaborone. Camera equipment and photo host. You are welcome to add this specialist activity at an additional flat rate of USD800 per night (nett and non-commissionable). 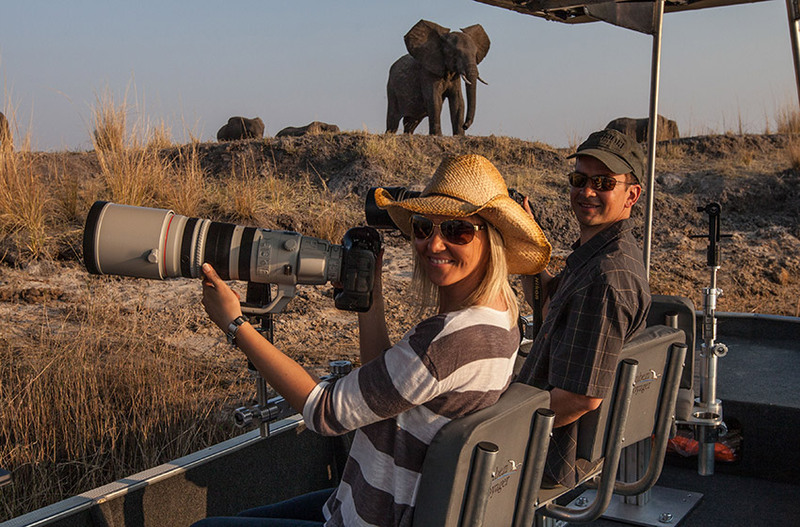 The following Standard Exclusions apply to all Pangolin Photographic activities and packages. Transfers to and from the activity other than mentioned in the list of pick up points below. 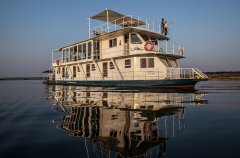 NB: Please note there will be limited availability for morning and afternoon single photo safaris, from 1st July if clients are not staying at the Pangolin Chobe Lodge. NB: These times are a guideline and the earliest that clients will be collected. Depending on the number of collections before at other lodges there may be a short delay. Please ask your clients to be patient and wait at the appropriate collection point. They will be collected. 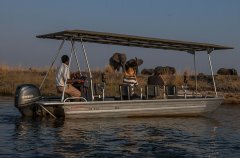 Transfers: Return transfers from Kasane immigration points is included in the nightly and exclusive use rates as set out above. All additional transfers are available on request and subject to additional charges. 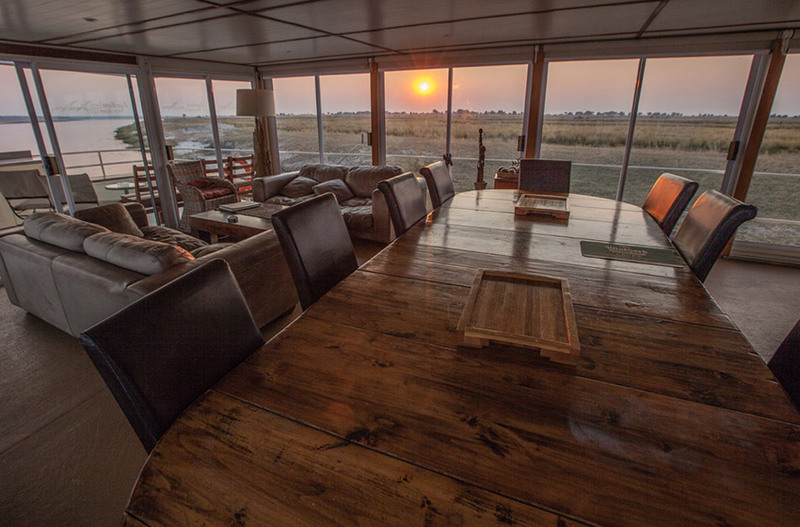 During their time on the houseboat they will have access to the 8-seater photo boat with custom camera mounts as well as one other tender boat for general game viewing. During their stay clients can choose their own itinerary of activities including boat trips, walks and cultural visits. 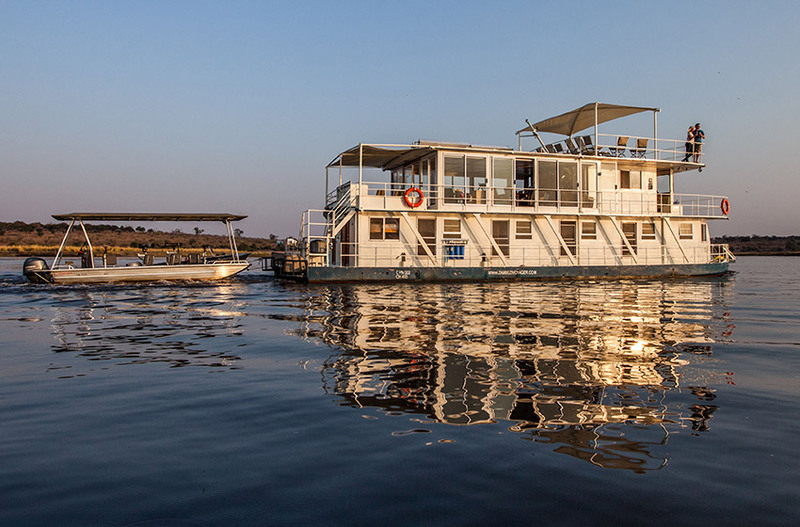 Typically, we have three mooring points along the Namibian side of the Chobe River. 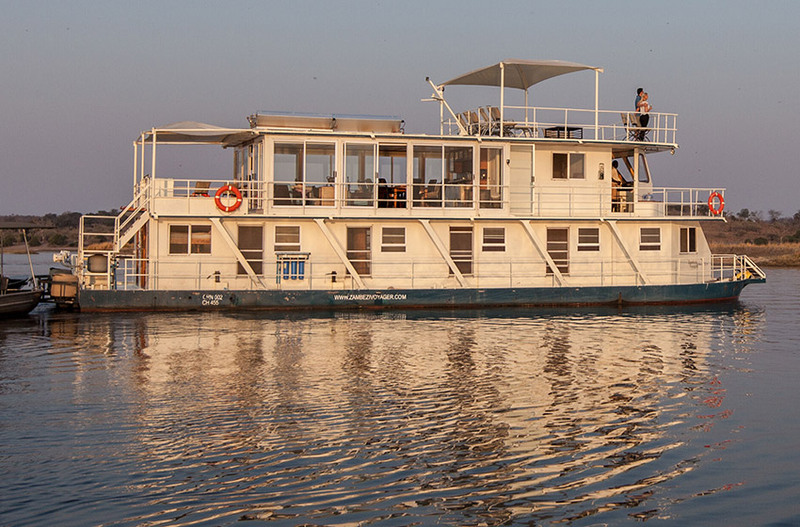 All activities are conducted on this side of the natural border, the Chobe River. 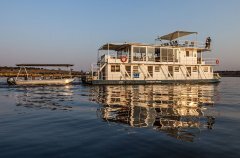 Guests to ensure that they are compliant with all visa, immigration and passport requirements due to our operating in Namibian waters. 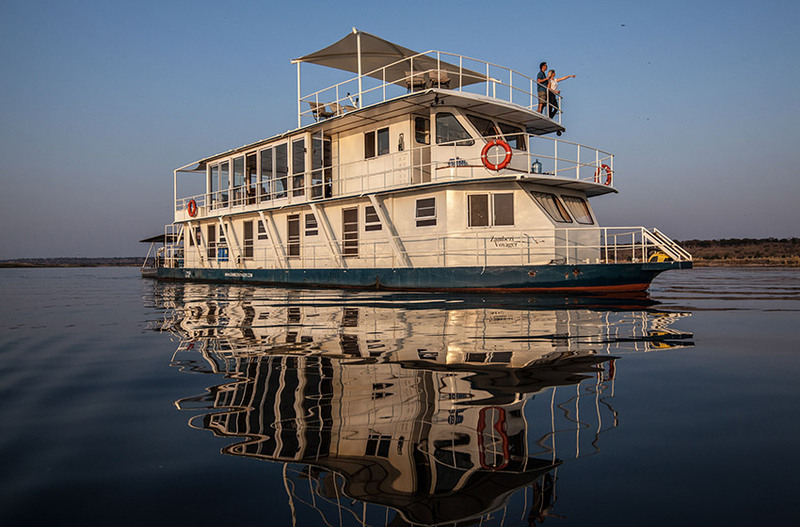 NB: Please note that there is no camera equipment or tuition onboard the Pangolin Voyager Houseboat unless the clients are booked on a specific photo safari or hosted workshop that includes use of the Pangolin cameras and lenses. See above. 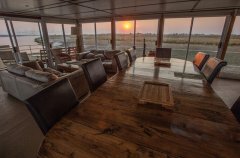 All meals: Coffee and rusks are served before the morning drive followed by a hearty cooked breakfast upon return to camp. 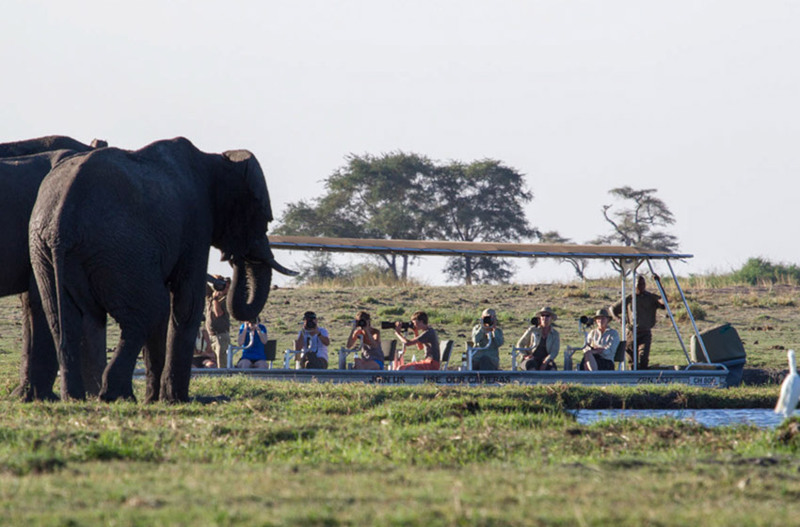 Lunch is either served in camp or as a packed lunch if the camp is moving to a new destination and the clients are on a full day game drive. Dinner is a two-course meal served in camp. Drinks: We have a good selection of wines, beers, soft drinks and spirits at the camps. These are included in the package. Activities: At the mobile camps the clients will be doing land-based activities in the game viewers. We have a policy of every client having a window seat. The game viewers are fitted with beanbag camera mounts on the seats to stabilize large lenses and there is plenty of space to store camera gear. 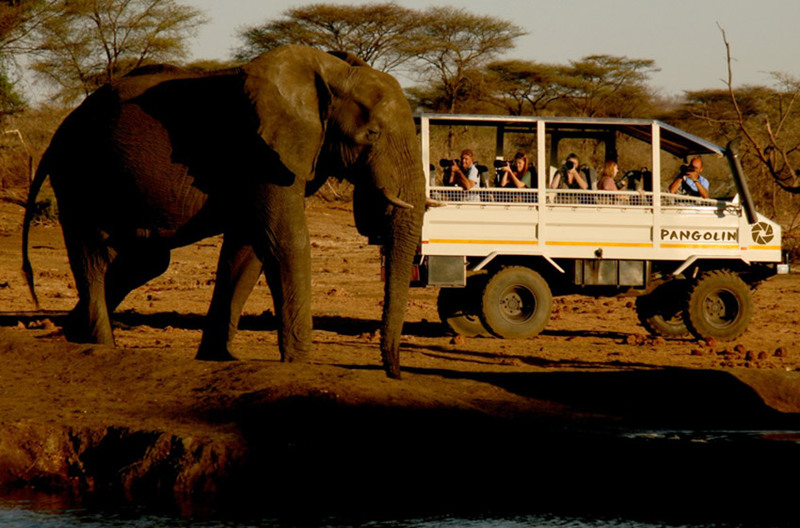 On non-moving days the clients will do a morning and afternoon game drive exploring the region around the camp. On moving days the clients will do a full day game drive between the regions and will be supplied with a packed lunch. Transfers to and from the mobile camps other than mentioned in the inclusions. The minimum number of clients need for a mobile camp to go ahead is 4 and the maximum is 8. If you have clients wanting a private camp set up for then please book using the exclusive camp rate as set out in the rate table above. 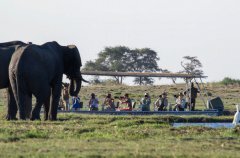 If you are not booking the camp exclusively and you have four clients paying the per person rate we will try and arrange a departure date subject to availability but we reserve the right to add other clients to the same departure up to the maximum of eight clients. Situated on the private 200,000ha (440,000 acre) Khwai Private Reserve the Pangolin Khwai Camp is a dedicated photo safari camp in Botswana. 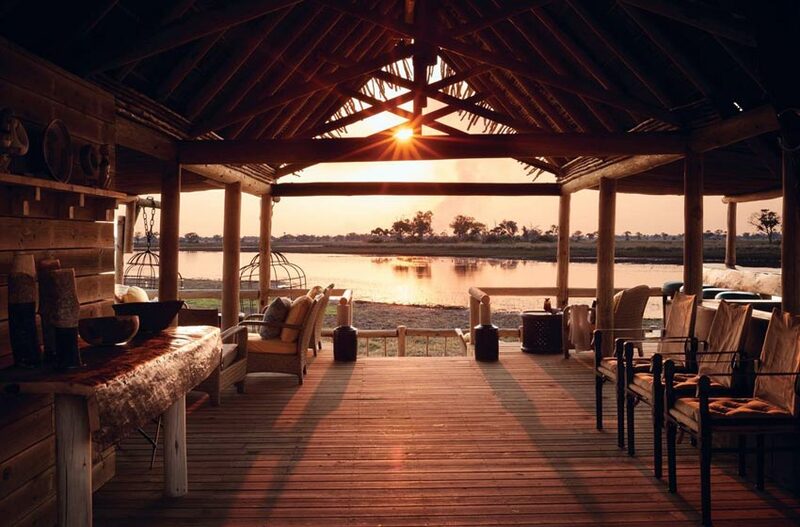 There are 7 en-suite raised tents accommodating a maximum of 12 guests at any one time. Adjoining each tent is an en-suite shower and toilet, and the beds in the room can be configured as either a double or two singles. There is a main dining/lounge area with plenty of plug points and room to set up laptops for post-production sessions. 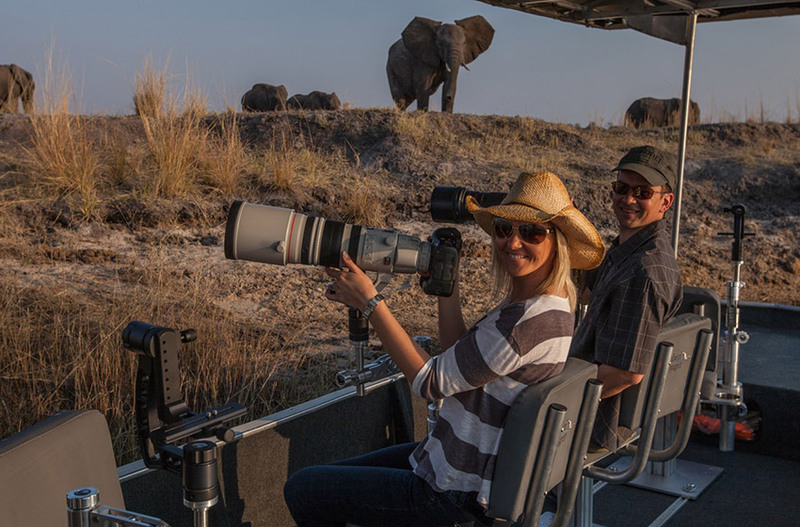 Being a photo safari camp it’s important that the client’s needs are met while on game drives which is why we have a policy of no more than four clients per vehicle allowing them all to shoot in the same direction unencumbered. 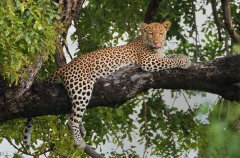 On the Khwai Private Reserve we can off road to get into the best photographic positions at special sightings as well as conduct night drives. The camp is booked on a fully inclusive basis. Before the morning drive there will be tea, coffee, rusks and cereals served in the main area as well as a tea/coffee break during the drive. After the morning drive a cooked brunch will be served followed by high tea just before the afternoon activity consisting of sweet and savoury dishes. At night, a full three course meal is served. 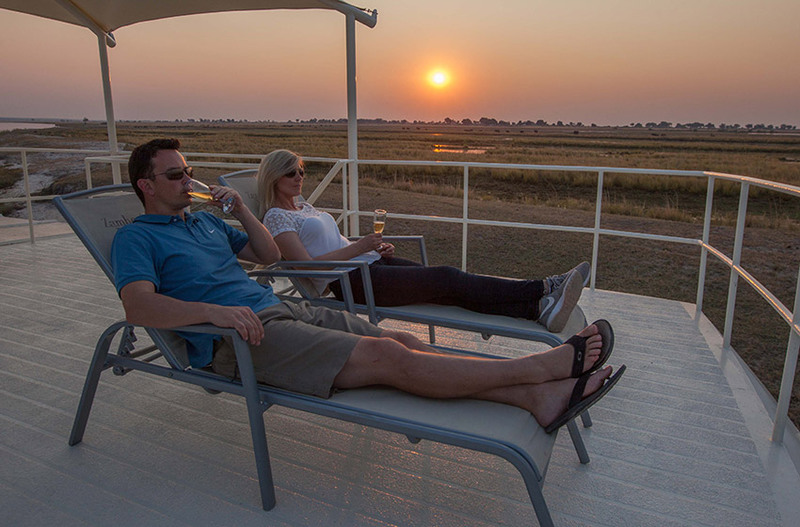 All drinks are included at the camp including water, soft drinks, wine and spirits. 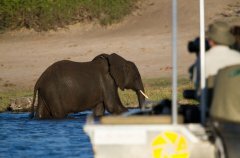 The closest airstrip to The Pangolin Khwai Camp is Khwai Private Reserve which is serviced by most the local charter companies. We will be happy to book these flights for your clients and include it in the booking invoice (noncommissionable). 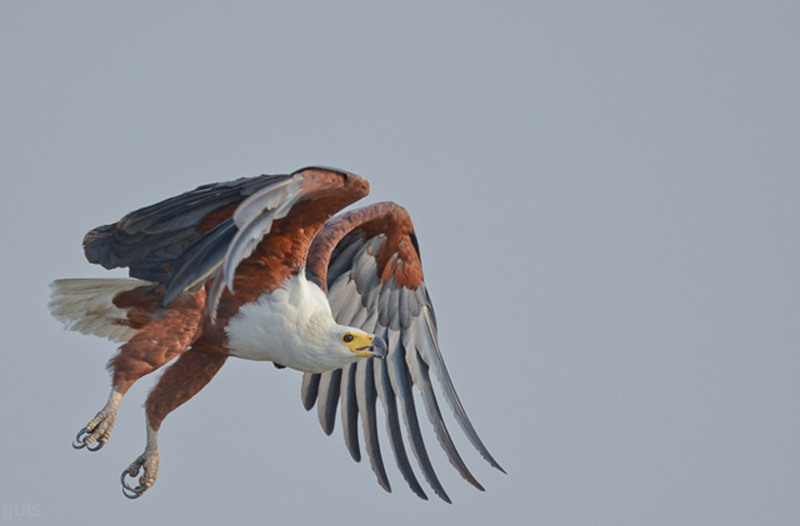 The flight time from Kasane is approximately 1 hour and 15 minutes with Maun around 35 minutes away. We will collect and drop off at either Khwai Private Reserve or Khwai should Khwai Private Reserve not be available. At the camp, there will be cameras, lenses and memory cards available for clients in camp. A resident photo host is on hand to offer guidance, tutoring and assistance. Due to the ratio of photo host to vehicles, it will be on an ad hoc basis. 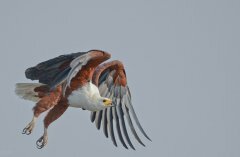 We work with some incredibly talented wildlife photography guides who are available to join your groups and offer tuition and advice on photography and post production techniques in Adobe Lightroom and Adobe Photoshop. These guides have been hand-picked for their guiding ability as well as their hosting skills. 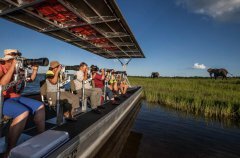 The photo guides are experienced with the functions and settings of all the major camera brands. 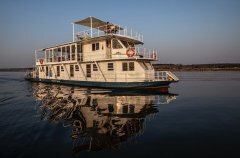 The costs of accommodation and transport for the photo guide will be for the clients account and we suggest a minimum of 4 nights (5 days) to make it worthwhile. 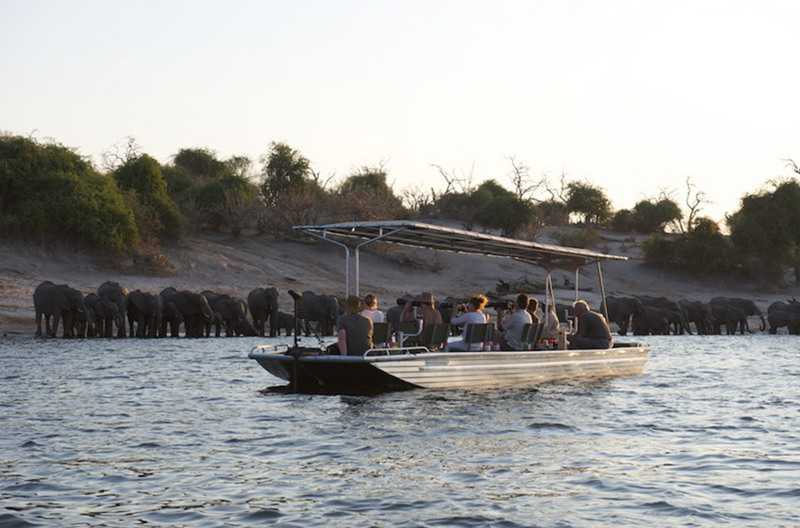 Please note that the Chobe mobile camp operates only from 1st April until 30th September. Must be made in writing and are subject to availability. Provisional bookings will be held for 7 days. Please enquire after groups/exclusive use booking policies. 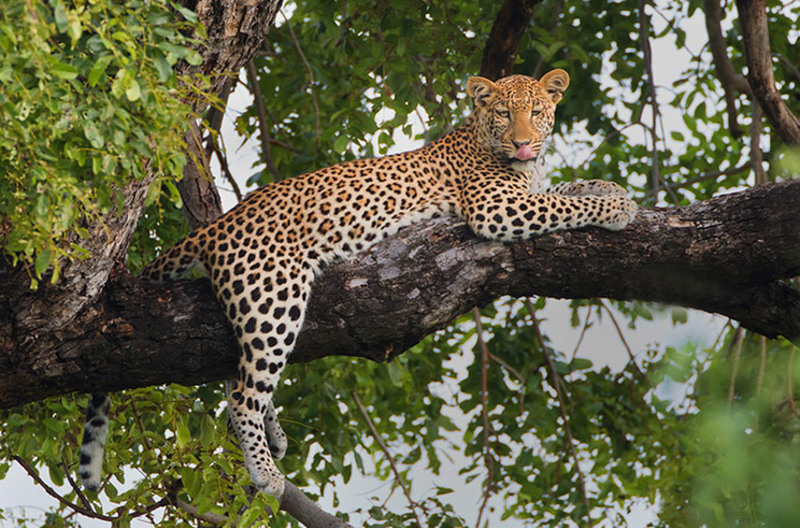 The final rooming list should also be in PANGOLIN PHOTO SAFARIS’ possession 14 days prior to arrival date. Added to the rooming lists should be dietary requirements as well as any important medical information pertaining to the health of the clients. 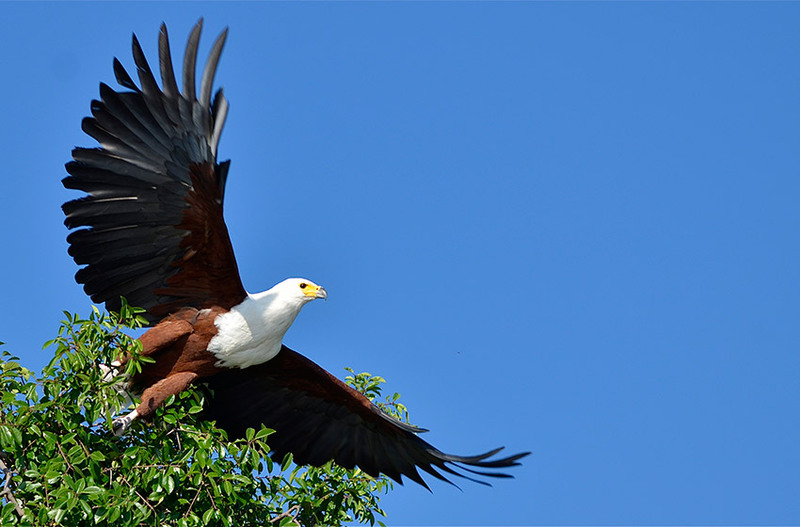 At the Pangolin properties we are able to cater for specific dietary requests such as vegetarianism or veganism but we cannot guarantee that any ingredients and preparation can be certified as Halaal or Kosher. Children 11 years and older will be welcome and standard adult rates will apply. 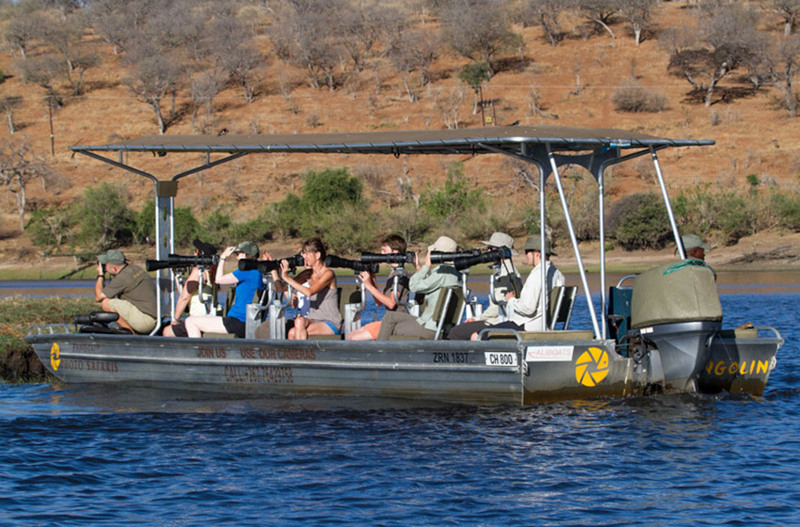 If either the Pangolin Voyager, Pangolin Khwai Camp or Pangolin Mobile Camp are booked on an exclusive basis then the minimum age will reduce to 6. It is highly recommended that guests have adequate travel insurance prior to travel. 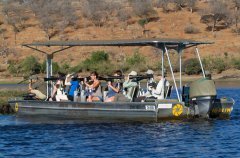 It is an operational requirement that guests sign a Pangolin Photo Safaris indemnity form when travelling to any of our properties or embarking on any of our activities. PANGOLIN PHOTO SAFARIS reserves the right to amend the rates accordingly should the Government change the percentage level of VAT, if park entrance fees are increased, Airport taxes or air fares are increased during the duration of this agreement. PANGOLIN PHOTO SAFARIS reserves the right to amend its policies, terms and conditions for bookings, without prior notice. 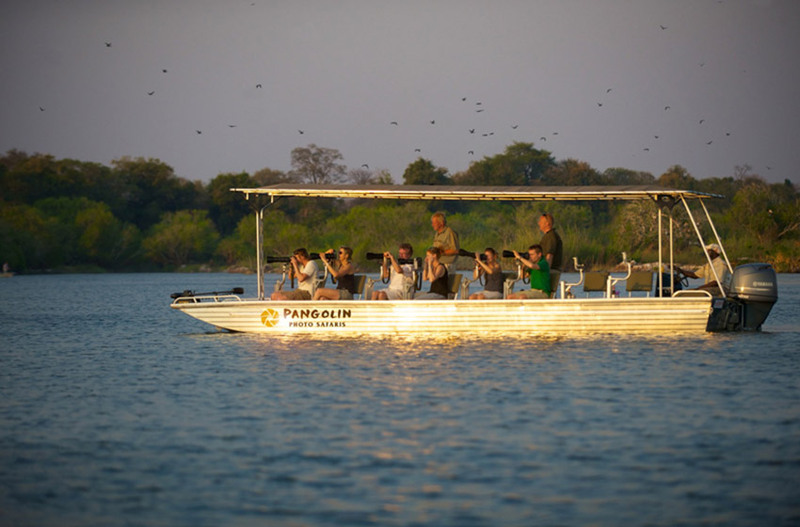 PANGOLIN PHOTO SAFARIS Rack Rates are commissionable. STO rates are nett and non-commissionable. 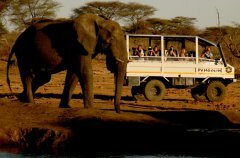 Walking Tours: -Walking ToursAsk your guide to take you for a walk on the floodplains, or on the nearby Impalila Island.For the more adventurous you can climb a giant baobab tree at the point where the four countries of Botswana, Namibia, Zimbabwe and Zambia meet.The walk is a gentle one among the giant baobabs with plenty of opportunity to see the forrest dwelling birds of the region.